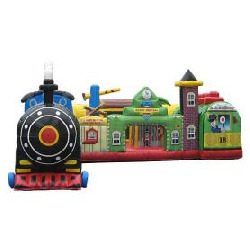 The train is at the station with this adorable and colorful inflatable. Once kids enter through the front of the train, it's on to gentle climbs and whizzing slides, under upside-down obstacles, and maneuvering around pop ups. Once in the interior of the station, participants are greeted by a 3D palm tree and a train signal pole. The exterior art makes kids feel like they are at a real train station, with a ticket booth, a detailed train and even a clock image to make sure the train is on time! 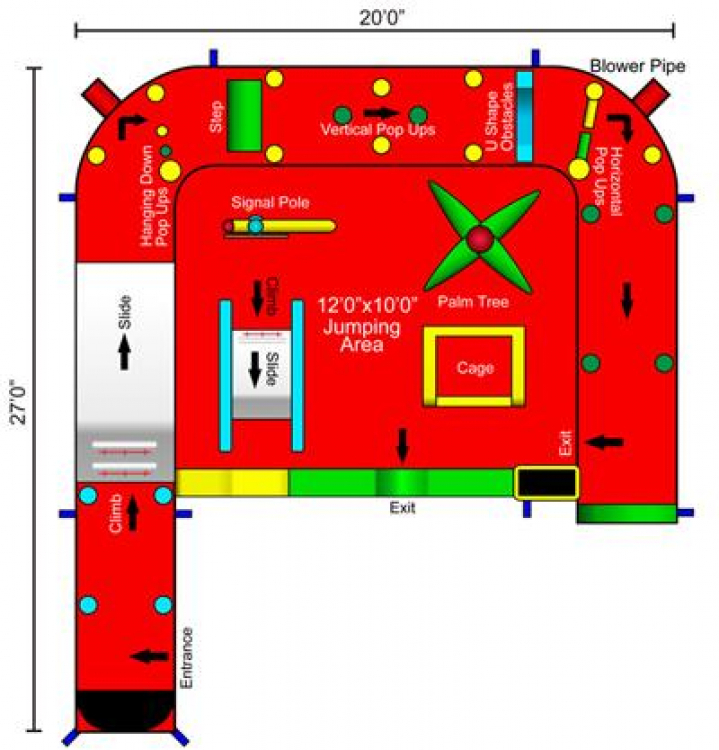 Dimensions: 27'L x 20'W x 9'H. Please allow 31'L x 24'W space for adequate clearance.